Mondo TV in Italy has appointed the head of TV sales at Rainbow as its new head of content sales following the departure of Micheline Azoury earlier this year. 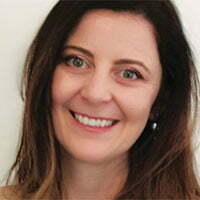 Luana Perrero has joined Mondo TV in the role and will oversee the company’s content sales strategy across its library. This includes shows such as Sissi the Young Empress, Yoohoo to the Rescue, Robot Trains, Invention Story and Meteo Heroes. Based in Milan, Perrero will report to Mondo TV CEO Matteo Corradi as well as work alongside Mondo’s licensing division to strengthen the international presence of the prodco’s IP. Perrero comes to Mondo with over 15 years’ experience in international content distribution, most recently with Winx Club creator Rainbow, where she had been head of TV sales since 2012. Prior to that she set up the content distribution department of Atlantyca Entertainment while based in Paris and Milan. She has also held roles with Blink Studios in Dubai and was a senior sales analyst in Warner Bros’ European theatrical distribution EMEA team in London. “Luana Perrero comes to Mondo TV with an impressive breadth of experience working on multiple properties in many regions and helping to build content businesses for some of the biggest names in broadcasting,” said Corradi. The appointment comes after Azoury, Mondo TV’s former head of content sales, joined fellow Italian firm Showlab to lead its fledgling distribution and acquisitions arm.